Cocaine, particularly in the form of crack, is an immensely addictive drug that can wreak havoc in a person’s life. A 2015 report from the Florida Department of Law Enforcement found that 1,834 individuals died from cocaine abuse that year out of 24,740 total deaths in which drugs were present in the victim’s body. That makes cocaine the third-leading cause of overdose death in the state, and poses a serious health risk to those caught in its grasp. If you are someone you know needs to find Mission Bay cocaine rehab centers, White Sands Fort Myers offers the inpatient addiction treatment programs required to help those afflicted with a cocaine addiction kick the habit and reclaim their lives from this devastating drug. At White Sands Fort Myers, we recognize the devastating impact cocaine has had on individuals and families across Florida. This powerfully addictive stimulant is a nationwide problem that exists in many forms, and is often combined with other substances to make an even more powerful drug. Our Mission Bay cocaine treatment program is designed to both treat the addiction and help you identify and deal with underlying issues that contribute to cocaine use and abuse. So, what exactly can you expect from our inpatient addiction treatment programs? The Mission Bay cocaine treatment services at White Sands offer a holistic approach to the treatment of cocaine use and abuse. Our goal is to help you overcome your immediate addiction while striving to succeed in other aspects of your life as you transition to the recovery phase and your substance abuse cycle. 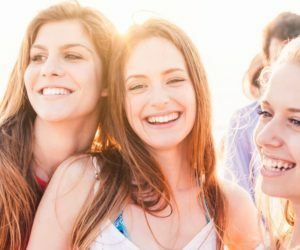 Our rehab services offered at Mission Bay cocaine rehab centers at White Sands Fort Myers include private counseling sessions, medical care, alternative treatment methods, and various wellness programs all integrated into a personalized care plan that helps you or your loved one overcome cocaine abuse. Family Support Therapy: Addiction is known as a “family disease,” because its impact expands far beyond one individual. We’ll help you address past traumas, rebuild trust between members of the family, and improve communication. Group Therapy: Group sessions help you identify with others who suffer from cocaine abuse or other addictions and recognize problems they face with their addiction. Participation in such an environment enables honest, open communication about feelings in a supportive place. Relapse Prevention: We give you the tools to avoid a relapse by helping you identify coping skills when faced with triggers or stress that could lead to renewed addiction. Wellness Programs: As a holistic facility, we want to treat your disease and your body, mind, and soul. That’s why we offer fitness classes, yoga, nutritional therapy, art therapy, and chiropractic care for pain management to help you heal the wounds of long-term cocaine addictions. The staff at White Sands Fort Myers is waiting to welcome you into a warm and comfortable environment. Drug dependence of any kind is chronic and progresses, and it requires sustained intervention and treatment in a supportive environment. Our compassionate Mission Bay cocaine rehab centers at White Sands Fort Myers are staffed by welcoming addiction specializes dedicated to your recovery. Those individuals are supported by our team of board-certified doctors, psychiatrists, nurses, and counselors who all specialize in treating substance addiction and co-occurring disorders. If you or someone you know is suffering from cocaine abuse and needs Mission Bay cocaine treatment, White Sands Fort Myers offers a welcoming environment and knowledgeable staff ready to assist with inpatient addiction treatment.